For newly divorced parents with children, there are a lot of lingering questions. How will the divorce ultimately affect the children? Will your parenting plan be successful? How will the divorce affect your relationship with your children? All of these are important questions to ask, but many divorced parents also wonder how to navigate the difficult process of sending kids back to school when a new academic year has begun. There are often a number of new factors to deal with and get used to, and the following information can help you approach the new school year in a positive and productive manner that will also help you ensure the best interests of your child are being met. Academics are one of the most important, formative components of a child’s upbringing. As such, it is extremely important to make every effort to ensure your child’s success in school. As many parents well know, that is often easier said than done. 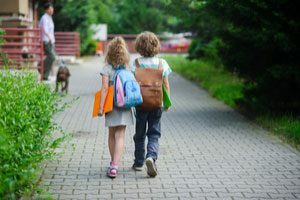 The Huffington Post recently published an article providing back-to-school tips for divorced parents that has a consistent message throughout the article encouraging parents to make sure the back-to-school experience is positive for children. This is an important factor to keep in mind. Going back to school is a difficult experience for many children, especially in circumstances where those children might be attending a new school. Being supportive and encouraging, much as you likely have been for other back-to-school experiences, is an important part of making sure this type of transition goes smoothly for children. The article makes an important assertion: If you do not make the back-to-school experience a positive experience for children, you risk losing the entire year. There are a number of things you can do to help provide this type of experience for your children including trying to have both parents available to send kids back to school. If doing so is not possible, then make sure you take pictures or take other steps to ensure the children’s other parent is involved. Try to avoid last minute conflict and minimize disagreements with the other parent on school-related issues, including custody concerns. Make sure that back-to-school time is entirely focused on your child’s success. Even if your divorce has been amicable, it is important to update the school about the change in your family dynamic. Divorcemag.com points out that teachers may need to be aware of the shift in dynamics to address concerns related to homework or classroom performance. It is helpful for the school to know any major issues that your child could be facing as they will also be the frontline in dealing with disciplinary concerns and other issues that may arise throughout the school year. Depending on the level of communication you are able to maintain with the child’s other parent, there may be a need for separate parent-teacher conferences. Each parent may also take on specific roles and responsibilities as a result of a divorce, and it is important for the school to be aware of this. Additionally, your school can tell you whether or not you will need to be worried about transportation concerns or other logistical information related to your child’s attendance. 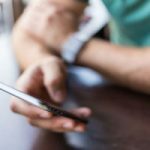 If your school has a newsletter or other important information to disseminate to parents, it will be helpful for them to have contact information for both parents. 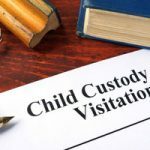 It may even be helpful for them to have a clear understanding of your custody arrangement depending on the terms the court has put in place. Communication is key in working with your child’s school. The same article from Divorcemag.com also points out that communication is extremely important between both parents, even in situations where communication is strained and/or difficult. This is very true and can save you time, money, and energy in the long-run. For instance, many schools provide a school supply list. In fact, often times each teacher may provide a separate list. It can be a good idea to split the list between parents so that both are sharing the financial responsibility of purchasing these necessities, but also because it sends an important message to children that both parents remain invested in the child’s education. The article also makes another good suggestion: Create a shared online calendar. No matter how many steps you take to ensure that each parent is aware of the different obligations of the children and also of each parent, it will eventually become impossible to keep all of that in mind. Creating a shared calendar can help keep each parent in the loop on important events like recitals or school outings. By organizing this type of shared calendar, you can avoid conflicts related to forgetting to inform the other parent of something you consented to that he or she may want to be a part of. You can also make sure that both parents have plenty of time to make sure that they can be present for important experiences in a child’s life. You may have experienced difficult differences in parenting style with the child’s other parent during the marriage, and these differences will probably not go away during divorce. However, it is important to maintain a consistent approach to parenting during the school year – especially at back-to-school time. Setting the tone for the year by enforcing consistent rules related to homework, bedtimes, and other important school-related factors can help your child become used to a routine that will help all parties to the divorce avoid unnecessary conflict and additional struggles. 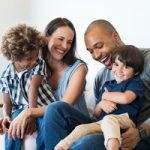 Taking a unified approach to these things can be difficult, but recognizing that your goal is to ensure your child’s growth and success may help you understand the role this important component of co-parenting plays. It will also help you plan for and maintain your personal schedule while your children are in school. Your parenting plan may have worked last year. It may have been successful throughout the summer. That does not mean it will not need to be changed in the future. 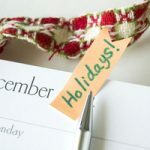 In fact, any number of circumstances could arise during the back-to-school transition that require you to revisit your parenting plan or other arrangements stemming from your divorce. It is a good idea to return to the attorneys you used during your divorce to make such modifications as they are likely already intimately familiar with your case. Scott J. Stadler has helped many Florida couples navigate divorce and related issues like how to approach the back-to-school transition. Mr. Stadler ha experience working on crafting parenting plans with his clients as well as modifying support and custody orders. If you have questions about how the Florida divorce process might affect you and your family or if you are interested in modifying an agreement related to your divorce, contact Scott J. Stadler to schedule a consultation and let his experience work for you.